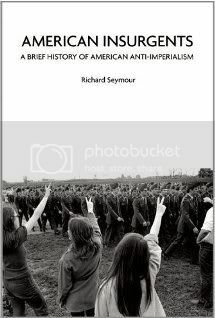 A People’s History of the World, by Chris Harman, is a fascinating and wonderful book. Something interesting happens around halfway through however. The story of Absolutely Everything changes; things like settled agriculture, irrigation and the printing press and so on, drop away. The last few hundred years expand massively and the tale becomes much more about wars, Jacobins, syndicalism and such like. This is very appropriate. The bourgeois revolution in its broadest sense is the dawn of public life, the awakening of mass consciousness and all that it has entailed until this point. But we must go back a step. Being determines consciousness. Our mode of being is altered by the inventions through which we live. The clock, for example, alters our sense of time. Under capitalist relations it bourgeoisifies our sense of time. Under capitalism time is money. Through the clock face it is converted from peasant, analogue flow into measurable capitalist quanta. This is just an example. There is relatively little in the Marxist canon that deals with the effects of new media. The Marxist who paid closest attention to this question was Walter Benjamin. Excellent groundwork though his essay The Work of Art in the Age of Mechanical Reproduction is it is also short and aphoristic. It was also written prior to several major developments in mass media. I would like to introduce to you all a philosopher, not a Marxist, but someone whose ideas can extend and enrich our discussion and study in the area of culture and technology. Marshall McLuhan. 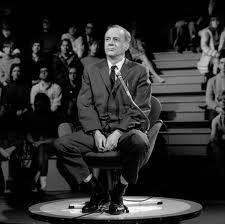 Marshall McLuhan was born in 1911, in Edmonton, Alberta. His father was a real-estate businessman, his mother was a schoolteacher. His father enlisted in the Canadian armed forces in 1915. After his discharge the McLuhan family settled in Winnipeg. Young Marshall enrolled in the University of Manitoba there in 1928. Marshall McLuhan was a bit of a polymath. He started out academic life studying engineering before switching to English Literature, a subject at which he excelled. In 1937 he moved to Cambridge in England, where he was required to repeat some of his undergraduate studies. He did however some of the eminent New Critics, I.A. Richards and F.R. Leavis. New Criticism was a movement that emphasised close textural reading. McLuhan studied both William Shakespeare and James Joyce in immense detail; as a result he was one of those rare people who could quote Finnegans Wake in the course of an argument. It was also at Cambridge that he would come to convert to Catholicism. In his academic career he mostly taught in Catholic Colleges. All of this is to say he was not a revolutionary figure. However his focus changed when he began teaching Communication and Culture seminars, funded by the Ford Foundation. He carved out an academic niche of his own, starting with the book The Mechanical Bride, examining technology and popular culture, quite different subject matter to the (I would argue) closed and cold world of the New Critics. This led to the foundation of the University of Toronto McLuhan Programme in Culture and Technology in 1963. He was not completely closed to the world of politics. His aphoristic, collage style of writing and his non-judgemental openness toward new forms of communication lent itself to post-war youth culture. While McLuhan was a friend of right-wing author Wyndham Lewis, he was also an associate of Timothy Leary and is credited with coining the hippie slogan, Turn On, Tune In, Drop Out. McLuhan’s arguments and aphorisms have proven massively popular and influential. 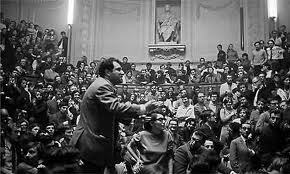 His speaking-style, especially in front of non-academic audiences, was playful and thought provoking. They are important for us I think because they help stimulate thought often about things we take for granted. Mass culture and its role within bourgeois hegemony is a crucial question for Marxists in advanced, core capitalist countries. Mass media profoundly determine the shape and form of mass culture. “It is always necessary to distinguish between the material transformation of the economic conditions of production, which can be determined with the precision of natural science, and the legal, political, religious, artistic, or philosophic — in short, ideological forms in which men become conscious of this conflict and fight it out”. It is not exactly an aphorism, but it is a neat segment of Marx’s Preface to the Critique of Political Economy with an important implication. 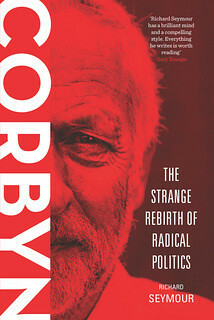 Ideology is reasonably defined as a collection of ideas based around a distinct point of view. The argument here suggests ideology is the medium of class consciousness. In the clash between forces and relations of production, the basis of class struggle, people can achieve things which are contrary to the ideas they hold. This was something Antonio Gramsci dwelt upon in his Prison Notebooks repeatedly. The achievements of the Biennio Rosso were not capitalised upon because there was not sufficient critical renovation of ideas; long story short, the workers rebellion was not translated into a workers state. “Suppose we were to say, ‘Apple Pie is in itself neither good nor bad; it is the way that it is used that determines its value’. Or ‘the Smallpox Virus is in itself neither good nor bad; it is the way that it is used that determines its value’. 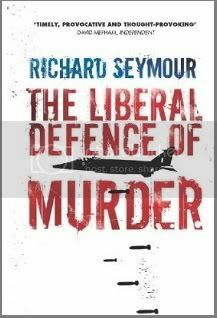 Again, ‘Firearms are in themselves neither good nor bad; it is the way that they are used that determines their value’. A useful point for consideration, the ideology of Protestantism helped found capitalism. Not because of some supposed work-ethic, plenty of harsh toil had been carried before anyone pondered the nature of a personal god, but because its dispute with Catholicism over humanity’s relationship to the divine was in effect an argument over the individual’s relationship to authority. “No King But Jesus” is a roundabout call for a republic. “What was wanted was the individual man of genius, who has now arisen and who understands the truth. That he has now arisen, that the truth has now been clearly understood, is not an inevitable event, following of necessity in the chains of historical development, but a mere happy accident. He might just as well have been born 500 years earlier, and might then have spared humanity 500 years of error, strife, and suffering”. So, Protestantism didn’t just happen to rise up during the feudal era to attack it, it arose out of the feudal era, part of it but against it (and eventually to be supplanted by more advanced articulations of bourgeois ideology). There is no debate about a personal versus an impersonal god without print technology and the beginnings of mass literacy. There are no ideas apart from the means of articulating them. We live in the medium of Earth’s atmosphere. We do not notice it because our bodies are evolved to live at around sea-level pressure; we live at the very bottom of an ocean of air. You can only get a handle on this when you climb a large mountain, get into a submarine or board a spacecraft. We exist, in a similar way, in a state of media saturation, to the point where we do not regard the effects such media have upon us. We tend not to notice the dominant ideology, the collection of ideas based around the point of view of the dominant class in our society. It is only when we are outside that medium that we see it for what it is. McLuhan’s strength is that he looks at the effect of technology on consciousness. It is easy to accept that electronic media creates almost instant global communication, and thereby bridges the gap between cause and effect, core and periphery in the public mind. You can extrapolate from this. We have lived through a period of growing gated bourgeois communities, increasingly militarised policing, the enclosure of more and more public space, and so forth. The mass media batters away, the poor are dangerous, deracinated and, look, they're living among us. It’s all very logical. But there is one clear problem with techno-determinism. Take something like the Canary Wharf Complex in East London. To the bourgeois Londoner it is a sleek monument to their power. The working class Londoner on the other hand would be forgiven if they found it a cold, bewildering and unwelcoming place (built upon the ruins of a former trade union stronghold let’s not forget). Technology, mass media live inside the greater medium of class society; that is the message carried to us, everywhere, all the time. Hot and cold media are important concepts for McLuhan. ‘Hot’ and ‘cold’ are slightly misleading names. The basic opposition is between high definition/low participation and low definition/high participation media. It is, say, the difference between a live action film and a drawn animation. With live action the visual detail is fairly rich, leaving little room for the viewer to fill in/interpret. With a drawn cartoon (a good example being Matt Groening animations) there is minimal visual information, few lines, few surfaces, and wide room for viewer inference. Why should hot and cold media bother us? I think, firstly, because it is a useful way to track cultural development. Ruling classes attempt to develop culture appropriate to its rule. This means that culture is a site of conflict in class society. In Understanding Media, McLuhan at one point cites the example of the waltz (a ‘hot’ dance) versus the twist (a ‘cool’ dance). Dance is an expression of sexuality. The waltz, a formal dance, where the information is largely filled in beforehand, was consistent with early capitalism and its attempt to mould sexuality to the nuclear family and capital accumulation. The twist is an informal dance, with room to improvise and, most dangerously of all, does not require two closely locked partners. The twist and related forms of dance were consistent with a period of affluence and immanent sexual liberation. They were consequently terrifying to authorities committed to the capitalism and sexual propriety. 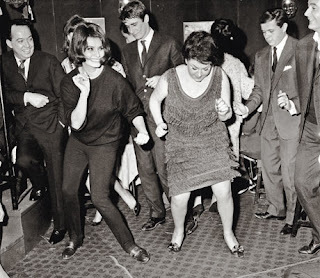 Let’s not forget the added bourgeois horror of mixed race social dancing. It may seem unbearably strange and backward now but American cops used to attack Ray Charles concerts for precisely this reason (brilliantly evoked in Mike Davis’s writings on post-war youth riots). But there’s a second point of interest. In McLuhan’s scheme new media cause a shock to our system. In order to overcome this shock, so we aren’t sent reeling every time we walk down the street or glance at a TV, we numb ourselves to the medium’s effects. One way of doing this is by cooling down the medium. The printed word is visually hot. Spoken word on the radio is aurally hot. They each take particular senses and fill them out. 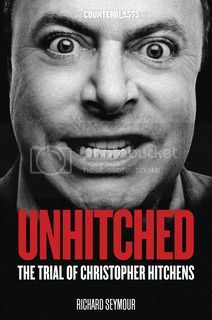 One thing you will not have missed is the rise of right-wing demagogy in the internet and talk radio. These are cooling media that allow for greater participation; but this participation is as a kind of reflective surface in an echo chamber. Slanders become rumours and rumours become facts, as host and audience goad each other. This can create false notions that are very difficult to dispel. An example: after the murder of Jean Charles de Menezes the Metropolitan Police put out a number of statements that simply weren’t true: he jumped the barrier, he was wearing a suspicious device, he challenged the police, he looked like Hussein Osman, etc. These claims were recycled through public forums and consequently longer in people’s minds even after they were disproved. What is ideology, the medium itself; hot or cool? As far as the question is relevant I would suggest it is a cool medium, participatory. 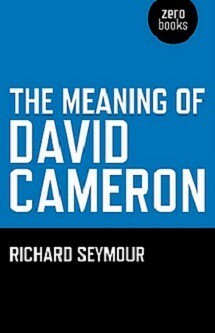 For example: The Conservative Party is a key outlet for bourgeois ideology. The party cannot win general elections on the vote of its social base, the bourgeoisie, alone. There is a Conservative Party for big capitalists, but there is also one for small business people, there is even a party for a minority of conservative workers. This can only be achieved by incorporating the concerns, the points of view of other groups into the broader bourgeois perspective of the Tories. The point here is not to suggest hot, cold or cooling media are better, worse, beneficial or pernicious, but to understand them so we are not taken by surprise by their effects. McLuhan’s best known writing is more about aphorism and argument than precisely laid out research. This is particularly the case with the opening chapters of Understanding Media. There are two chapters, which run together smoothly, The Gadget Lover and Hybrid Energy. McLuhan begins his argument by retelling the myth of Narcissus. 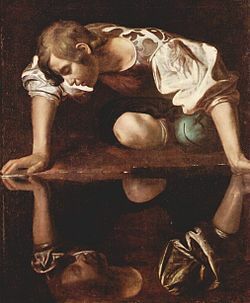 The myth is generally understood as a warning against self-love, Narcissus fell in love with his own reflection. According to McLuhan this is not quite the intention of the story. Narcissus was transfixed by his reflected image and so became numb to all other stimuli, a closed circuit. All media are extensions of particular human aspects; the wheel is an extension of the foot, the lever an extension of the arm, clothing an extension of the skin, and so forth. Human invention is a response to need generated by discomfort; the wheel relieves the burden of moving objects, the lever the burden of lifting them, clothes keep us from being cold (or sunburned). “In districts where natural economy formerly prevailed, the introduction of means of transport – railways, navigation, canals – is vital for the spreading of commodity economy… The triumphant march of commodity economy thus begins in most cases with magnificent constructions of modern transport, such as railway lines which cross primeval forests and tunnel through the mountains, telegraph wires which bridge the deserts, and ocean liners which call at the most outlying ports”. The latter chapters of the Accumulation of Capital are a meditation on the various media used to establish a commodity economy in various colonies, including the medium of ballistic weaponry. Colonialism is a rather sharp example but the point stands, changes in the medium of human existence require changes in the way people relate to each other. On an individual level the shock of change leads to numbness, what might have been disturbing to your ancestors you have to take in your stride. Imagine, for example, your journey to work. You would never get there if you had to regard every single advert trying to catch your attention. This shutting down of the senses blinds us to the effect of various media. Back to the original example, ideology; we do not recognise mainstream ideology as such. Even so the supposedly non-ideological person is in fact the most ideological. We only recognise a medium for what it is when it is either hybridised or superseded. An example from art is the journey from painted portrait to lithograph to photograph, to moving image, to synchronised sound, to Technicolor. Each invention cried out for the following one. As each medium was superseded it was transformed, the obvious example being after the rise of photography artists began painting concepts and feelings, rather than literal objects. Another example: we now know that novels are in fact movie scripts. Every successful novel is touted to movie producers as a sure-fire hit (that or it’s cherished as an unfilmable novel). Movies are not novels, however. They almost never make the journey backwards. If anything movies are becoming role-playing computer games, judging by the number of spin-offs that have been made. Relating this back to the point about ideology; we overcome our numbness to bourgeois ideology, see it for what it is, through its supersession (or, perhaps, hybridisation if we take reformism into account). This of course happens through practical action, class struggle, combined with the critical renovation of consciousness. McLuhan’s legacy, if it is anything, is a techno-evangelism, in part an offshoot of the counter-culture (McLuhan was also the first person to use the word “surf” in its modern sense); computing will save the day the internet will broaden our minds, liberate information and the geeks shall inherit the Earth. One very modern off-shoot of this philosophy is the argument (distraction in my opinion) over the role of social media in popular rebellion. Does the application of Twitter to 21st century society result in occupations, riots and strikes? It's certainly a more comforting conclusion than admitting people over the world are tired, poor and fed up with living under their rulers. But McLuhan was not a member of the 60s counter-culture. He was an educator, an educator with a very keen sense of the crisis in education, which arose out of post-war society and came to be known as the Generation Gap. Capitalism needed an educated, skilled workforce more than ever. Educational opportunities grew and millions of young people growing up in the core capitalist countries for the first time had the chance to go into Higher Education, therefore reaping the rewards of a better life. At the same time the rigorous application of capitalist norms to a formerly artisan-like HE system generated conflict, conflict between the new mode of intellectual production and the relations of production. The lecturer was slowly proletarianised. The student, promised intellectual liberation, was subjected to fusty, paternal supervision and backward rules. For example: the student struggle in France 1968, which set off the great strike in May, began as a struggle over the right of male students to visit female dorms overnight. 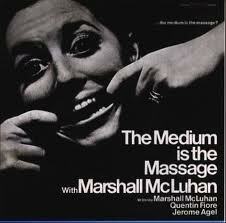 McLuhan was a lecturer during this period of change. He experienced the shift when he began teaching. Though only a few years older than his students, he felt an insurmountable gap between him and them. The difference, he thought, was in the mode of understanding. He was steeped in the literate, sequential and disinterested mode of thought. His students were saturated by modern media and its effects. Their understanding was post-literate, non-linear and deeply involved. He saw this as the root of the conflict, the crisis of education (and of society at large). It was this he studied. 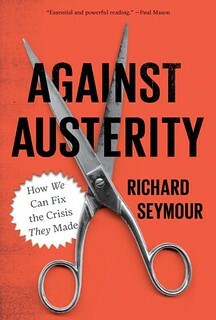 His solutions were humane, intellectual and appropriately utopian – more designed to provoke debate rather than resolve it. His answer was critical reflection, we had to understand the changes we were going through as a society in order to cope with them. Cutting edge thought, and in particular art were to lead the way. The Marxist response is clear. Firstly, culture is ambiguous. For human history so far every document of civilisation has also been a document of barbarism. In order to have Socrates you also had to have slaves. The prevailing culture of any class society is determined by that society's ruling class, their prerogatives, their preoccupations. An obsolete way of thinking does not simply give way to critical reflection, which brings us onto the second point; consciousness has its basis in material reality. As Marx pointed out in his Theses on Feuerbach, criticism of heaven takes place on earth. “Perhaps the most obvious “closure”... of any new technology is just the demand for it. Nobody wants a motorcar until there are motorcars, and nobody is interested in TV until there are TV programmes”. “The power of technology to create its own world of demand is not independent of technology being first an extension of our own bodies and senses. When we are deprived of our sense of sight, the other senses take up the role of sight in some degree. But the need to use the senses that are available is as insistent as breathing - a fact that makes sense of the urge to keep radio and TV going more or less continuously. The urge to continuous use is quite independent of the ‘content’ of public programmes... It is ridiculous to talk of ‘what the public wants’ played over its own nerves... Once we have surrendered our senses and nervous systems to the private manipulation of those who would try to benefit from taking a lease on our eyes and ears and nerves, we really don't have any rights left”. This is a vital point that we can all agree with. However you define 'the media', broadly or narrowly, they are our mode of existence, alienated from us and used against us. We take them back under our control in order to emancipate ourselves.